When it comes to Arbitration in the UAE, the general rule and practice of UAE Courts is that courts would not entertain any action related to a dispute arising from the execution of an agreement in which the parties have agreed to arbitrate. However, if either party decided to proceed in court despite the presence of the arbitration clause and the other party does not object at the first hearing, the action may be heard, and the arbitration clause shall be deemed inoperative. The UAE Legislator applied certain restrictions on the parties’ freedom to agree to arbitrate when entering into Commercial Agency Agreements. We will address this exception below in light of a judgment rendered by Dubai Court of Cassation; the highest court in the Emirate of Dubai, whose judgments interprets the application of the law to lower courts. The Claimant (a commercial agent registered with the UAE commercial agents register) entered into an agency agreement with the Respondent. The parties agreed that the Claimant will market, distribute and sell the Respondent’s products within the UAE. The agreement was duly registered in the commercial agencies register, according to their agreement the parties agreed to refer any disputes arising thereof to arbitration. The Claimant commenced performing its obligations set forth in the agreement; however the Respondent abstained from providing the required documents and further unilaterally affected deletion of the commercial agency agreement from the commercial register. The Claimant therefore requested appointing an arbitrator who issued his arbitral award obligating the Respondent to pay a sum of AED 328,850 with damages and arbitration costs. Consequently, the Claimant filed a commercial action against the Respondent before the Dubai Court of First Instance requesting the court to ratify and authenticate the arbitral award. The First Instance Court rendered its judgment ratifying the arbitral award; the Respondent appealed the judgment before the Court of Appeals which in turn upheld the judgment. The Respondent challenged the Appeals Court Judgment before the Court of Cassation. The Respondent argued that the lower court’s decision contradicted provisions of Article 6 of the Commercial Agency Law. Article 6 provides that in Commercial Agency Agreements the State’s Courts shall rule in any disputes which may arise between the Principaland the Agentdue to its implementation. Any agreement to the contrary shall be void. Application of Article 6 to the case before hand renders the arbitration agreement void and consequently the court’s judgment issued ratifying the arbitral award is in contradiction with the law. The Court held that the Respondent’s argument was with grounds, according to Article 6 “The Commercial Agency agreement shall be deemed to be for the joint interest of the contracting parties and the State’s Courts shall rule in any disputes which may arise between the Principal and the Agent due to its implementation. Any agreement to the contrary shall be void.” Article 3 of the same law provides that “Trade agency activities are not permitted to be practiced inside the state except by such commercial agents registered in the Specified register maintained for this purpose by the ministry (the Ministry of Economy and Commerce). Any trade agency not registered in the above register shall not be considered, nor legal cases there for shall be heard”. 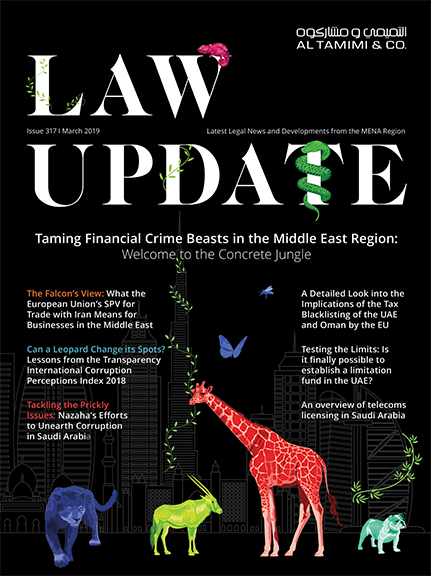 It is construed from the above two articles that the legislator held the jurisdiction for the UAE Courts to hear disputes arising from the performance of commercial agency agreements between the agent and the principle and to vitiate any agreement otherwise. This includes the parties’ agreement to arbitrate so long as the commercial agency agreement is registered in the commercial agencies register. Whereas the appealed judgment construed that the Commercial Agency Law no. 18 permitted the parties to the agreement to agree to arbitrate, which contradicts with provisions of Article 6 of the same law and the court therefore erred in its reasoning of that article. The court further held that the commercial agency was registered in the commercial agencies register and the fact that the Claimant unilaterally deleted/canceled the agreement does not impact the former legal existence and registry of the agreement in the Commercial Agencies Register. Moreover the Claimant in his action requested appointing the requisite number of arbitrators to hear its claim to continue existence of the commercial agency between the parties thereto and to demand the principal for the commission and damages suffered from striking the commercial agency unilaterally by the Respondent. Thus, Article 6 of the aforementioned law is applicable and the appealed judgment therefore contradicted the law and therefore the court overturned the lower court’s judgment. Based on the above, it is crucial for the contracting parties in a commercial agency relationship to be aware that they may not resolve their dispute through arbitration. Due to the sensitivity of the commercial agencies contracts and their effect on the economy and the trade, the legislator reserved the jurisdiction solely to the national courts.